Shop Un-du Adhesive Remover (4 oz. )4 oz. Shop Xyron Create-a-Sticker 1.5" Adhesive Refill Cartridge (1 ea. )1 ea. Shop Xyron Create-a-Sticker 250 Adhesive Refill Cartridge (1 ea. )1 ea. Shop Xyron Create-a-Sticker 2.5" Adhesive Refill Cartridge (1 ea. )1 ea. Shop Xyron Create-a-Sticker 150 Machine 1.5 inch x 20 foot Permanent (1 ea. )1 ea. Shop 3L Corporation E-Z Runner Tape (2 ea. )2 ea. You can easily turn photos, labels, ribbons and other pieces of paper or fabric into stickers by using scrapbooking adhesives. It can be easy to insert your photo or label into the machine that adds an adhesive to the back. There are also adhesives that glide on to paper, leaving a permanent, double-sided adhesive. Choose what you need for scrapbooking from brands such as Xyron, Epiphany Crafts and Glue Arts. 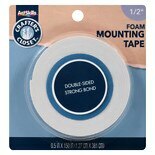 An additional type of scrapbooking adhesive is double-sided tape. You can also find scrapbooking embellishments such as buttons, gems and shapes that feature an adhesive back for easy use. If you use a sticker machine to create your own stickers, stock up on scrapbooking refill cartridges so that you don't run out in the middle of a project. Whether you're a beginner or advanced crafter, you can find scrapbooking supplies to work with here at Walgreens.com. For beginners and for those looking for added convenience, there are complete scrapbookingkits. If you prefer to collect your materials piece by piece, browse our assortment of 12x12 albums, 12x12 page refills and specialty paper. You can also find scrapbooking glitter, stamps and embellishments for framing your memories with flair.